7 Ways to Use Visual Elements to Move Your Resume from Bland to Beautiful! By CAREEREALISM-Approved Expert, Laura Labovich Resumes that incorporate graphics and color are not simply for creative professionals anymore. A purely textual resume is often not enough to stand out in a crowd of candidates, so if your resume is finding its way to the black hole again and again, it may be time to spice it up. Tasteful and professional visual accessories (note: no clip art or cheap graphics) can add value—and charm—to your resume and can be helpful in grabbing attention, creating interest, and increasing attractiveness to employers. Here are 7 ways in which you may use visual elements to spice up your resume: 1. 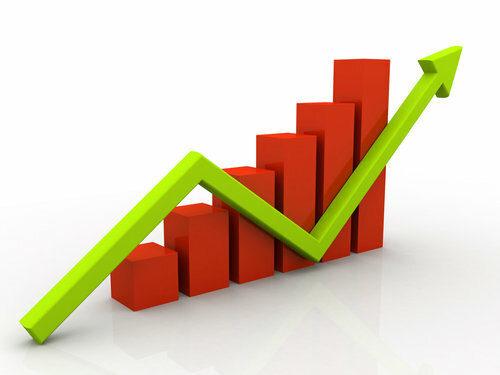 Charts or bar graphs: Charts demonstrate you exceeded expectations by illustrating your actual vs. projected performance. By incorporating charts or graphs in the accomplishments section of your resume, you can provide very clear proof of your achievements. 2. Certification logos: A certification that is impressive, hard-to-achieve, and contributes strongly to your candidacy is a good visual accessory to add to your career marketing document. Of course, be sure to first confirm that doing so is approved by the certifying agency or organization. 3. Industry-appropriate icons: Consider the inclusion of images that represent a field or occupation—such as a chef’s hat for a chef or a pen for a writer—as they can be eye-catching, visually interesting, and relevant. 4. Drop caps: Drop caps—or large initial letters or words at the start of a paragraph or document—can add style and focus to your resume. These are frequently used at the top of the resume, in the career summary or profile section, to draw dramatic attention to a word or sentence. Enjoying this article? Here are 9 flawless reasons to subscribe to our blog. 5. Watermark: The use of a watermark can add a touch of flair to a resume, as long as it doesn’t interfere with readability. Graphic artists or other creative professionals may consider using their work samples as watermarks. 6. Text box: The inclusion of a text box can help to separate lists of unique accomplishments or skills. Many job seekers use text boxes to highlight a client list, technical and/or software skills, a career summary, and/or testimonials. 7. Spot color: Liven up your resume with the addition of text color or, for something a bit more subtle, add spot color on icons such as bullets or other non-textual elements. Charts, graphs, tables, logos, watermarks, drop caps, text boxes, color, and industry icons are among the other graphic aids available to you in your quest for a compelling resume. Remember to carefully select each visual element as you do each word on your resume, and they will complement—not detract from—your qualifications for a position. Did you find this article interesting? You can read more articles by this expert here. Also, check out all of our free webinars! CAREEREALISM Expert, Laura Labovich, MLRHR, is a Guild Certified Five O’Clock Club Career Coach, speaker, trainer, networking expert and award-winning resume writer with more than 12 years of HR leadership experience at Walt Disney World and America Online, Inc. As a job coach and writer, Laura specializes in getting her clients “unstuck” in their job search by partnering with them to develop proactive, targeted and effective job search marketing plans that increase campaign momentum and achieve breakthrough results! Connect with Laura via LinkedIn or follow her on Twitter. The photo for this article is provided by Shutterstock.